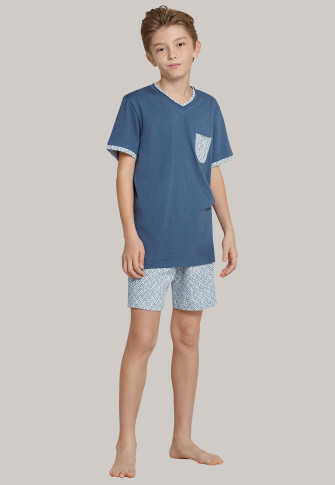 These short boys' pajamas are charming and stylish at the same time! 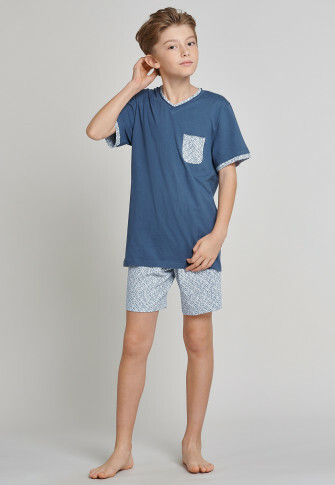 A graphic, gray-blue pattern on the V neckline, the chest pocket and the sleeve cuffs give the denim blue t-shirt many highlights that perfectly transfer to the same pattern on the shorts. 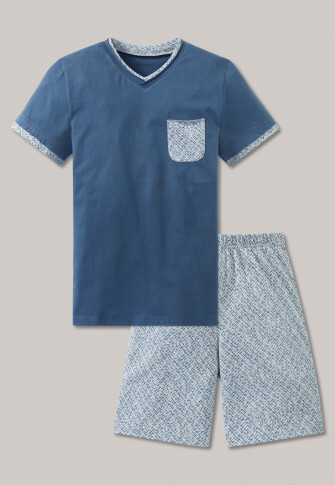 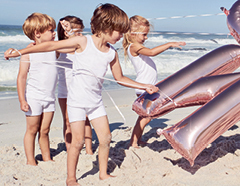 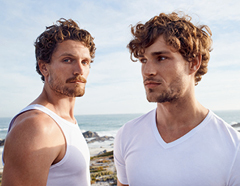 Thanks to the soft single jersey 100% cotton the two-piece set is wonderfully comfortable and promises relaxed nights in best SCHIESSER quality!